Epsilon's Amiga Blog: AmigaOne X1000 sold out! Introduced for sale in 2012, three years on the AmigaOne X1000 has now officially run out of stock and it seems that no more will be made. This means you can no longer purchase a new X1000 system. Fortunately the X1000 replacement, called the AmigaOne X5000 should be on sale in the not too distant future, which is a even faster system! 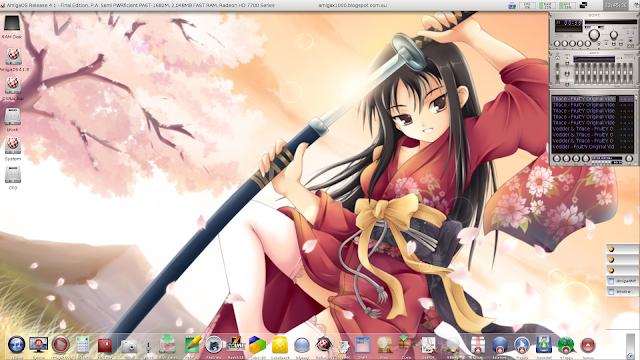 It supports running AmigaOS 4.1 Final Edition, MorphOS (3.10 once released) and many variants of Linux too. In addition we now also know publicly about the new Tabor system, a new entry level system for AmigaOS 4.1 Final Edition planned for release in the future to complement the X5000. 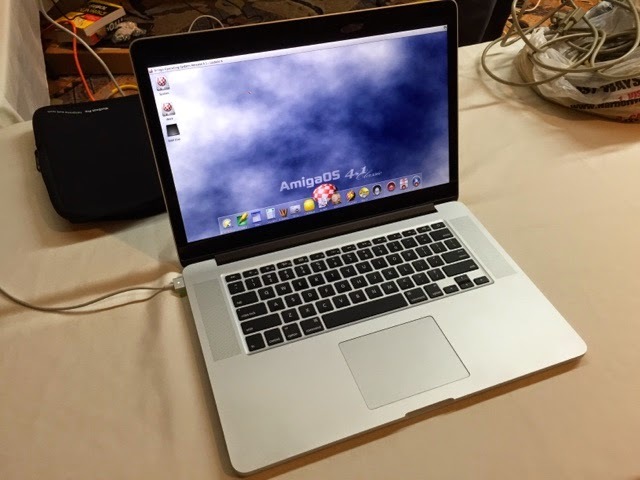 There was even mention and demonstration at AmiWest 2015 of A.L.I.C.E, an off the shelf laptop running Amikit X, Amiga Forever and AmigaOS3.x. So there is plenty of new hardware on the way to keep both Classic and Next Generation Amiga community busy for a few more years to come yet, which is great news! I have really enjoyed using the X1000 for the past 3 years, it was a worthy replacement of the Sam 440ep I had before that. I was glad to order the X1000 as part of the First Contact initial batch and it was worth every cent. In case you are wondering, with these screenshots on the X1000 I took this week I am using the latest updated CANDI software (available on AMIStore) to rotate the background images every 60 seconds and still use some CANDI effects over the top of them. I think it looks great. The X1000 was the result of Trevor Dickinson's vision to have a stable higher performance NG Amiga that could run AmigaOS 4.1 as it deserved to be run, rather than on entry-level hardware platforms. I believe the X1000 achieved that goal and I will always be grateful that he took the financial risk to make the machine a reality. I have huge respect for what Trevor has done to help the NG Amiga community, jetting around the world sponsoring and supporting Amiga shows, and getting down to work with moving the Amiga forward as a ongoing hardware platform, working with all the major players. I was very glad to finally meet Trevor at AmiWest 2014 to chat and thank him in person. Cheers to you mate. This is of course in no way diminishing the considerable efforts by others in the NG Amiga community as well, but I wanted to make a special mention of Trevor's efforts in relation to the X1000. 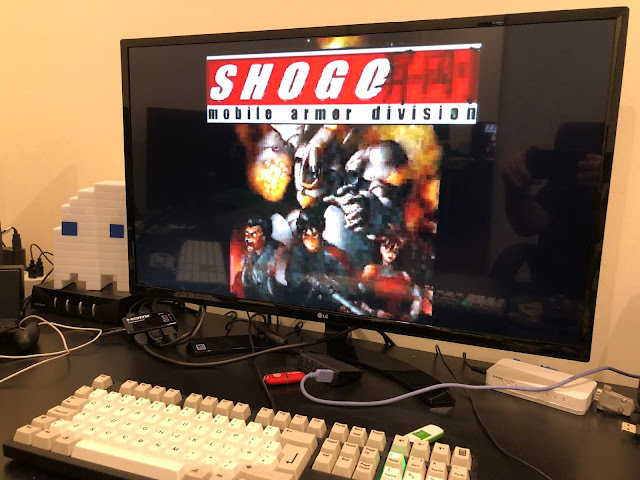 I have tried my best via this blog to show the AmigaOne X1000 to the community - the good things, the great things, and the not so good things since no system is perfect after all. Plenty of hints and tips, configuration step-by-step guides, new software, and multiple hardware projects I undertook with the X1000 during the last 3 years. The X1000 inspired me to try new things, to see what AmigaOS 4.1.5, 4.1.6 and AmigaOS 4.1 Final Edition could really do on a fast system! 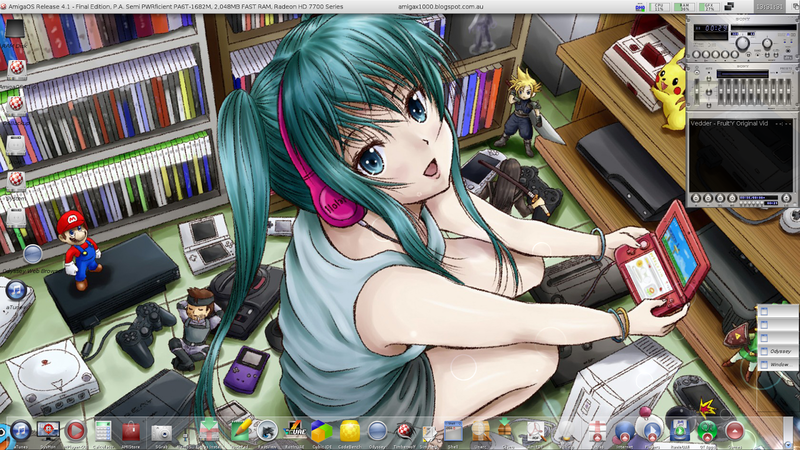 The NG Amiga community extends to many other systems too of course. I also looked at the Sam460CR system, MorphOS PowerBook G4 systems, AROS PC Laptop/Desktop systems and Classic Amiga systems too - including FPGA reimplementations and AmigaOS 4.1 Classic emulation on Mac and PC systems. The X5000 and other NG Amiga systems to follow in the future continue Trevor's vision with the X1000, and hopefully the availability of ongoing new hardware to run NG Amiga systems on will encourage more people to be part of the NG Amiga community - running AmigaOS 4, MorphOS or AROS! I will of course continue to use my X1000, and will no doubt be tempted to upgrade it with the X5000 once it goes on sale! The world of computers is always evolving, changing and improving - the X1000 is a significant milestone in NG Amiga system history and I believe it helped to push the AmigaOS 4.1 platform forward. I wanted to make a post dedicated to it now that it is sold out! Embrace and enjoy the NG Amiga systems for what they are, today. Many people like me are doing so already! Yes I agree 100% I'm so happy with my X1000 and indebted to A-Eon and Trevor for bringing it to life and re-igniting my Amiga passion today and into the future!